They combine extra comfort with leak-free reliability thanks to Coleman® Airtight system, with a Double Lock™ valve – which means you can rest easy. Two valve sealing points guarantee a leak-free product. Makes inflation and deflation fast and simple. Strong PVC providing a more puncture resistant airbed. 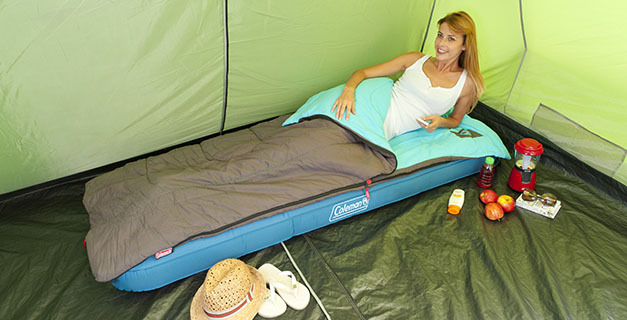 A convenient airbed storage solution: Fold | Roll | Store. Two chambers provide individual comfort control allowing each sleeper independent firmness.